JR Smith is not going anywhere, finally after several weeks of standoff the sharpshooting guard reunites with the 2015-2016 NBA Champion Cleveland Cavaliers after an agreement finally settled on October 15, in a reported 4 year deal worth $57 million contract. After the long wait is over and with less than two weeks to go before the start of a new NBA Season the “2016-2017 NBA Season”, Smith and the Cavs finally settled their differences and agrees to a contract that both parties makes happy. Reports says that Smith contract agreement with the Cavs has a guaranteed three straight season while the fourth season is non-guaranteed unless the Cavs waived him after his third year of his contract or after the end of the 2018-2019 NBA Season. Meanwhile, the Cleveland Cavaliers are very happy to bring back their leading three point shooter from the last season, general manager David Griffin also said in a statement that Smith is one of the their priority of bringing back with their team. Also, the impact of LeBron James with the team as he boldly express that he wanted JR Smith back might also help Smith of getting his money and remains a Cleveland Cavaliers. It is remembered that Smith has a similar situation with his teammate Tristan Thompson who also had a standoff with his contract deal with the team but before the season start last year the team finally agrees to give the salary that Thompson wanted. Smith is part and an important piece of the Cleveland Cavaliers first ever NBA Championship that ends a 52 years drought of any major league championship in the city of Cleveland and now that he is back with the team they are now ready for another run of coming back to the NBA Finals and defend their NBA title. 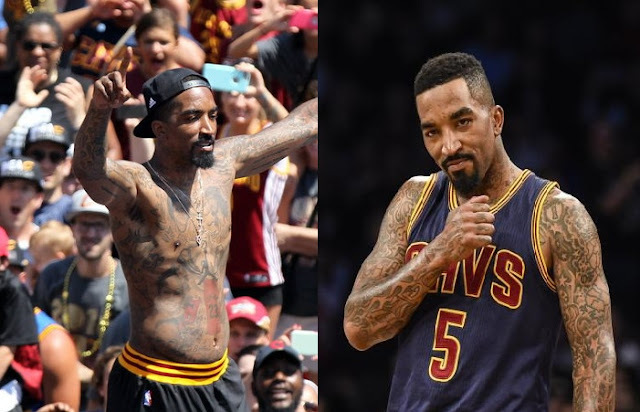 No Comment to " JR Smith Returns Back in CAVS Uniforms, Agree in a 4 Year Deal $57 million "